Naperville IL. Townhome Bathroom Remodeling & Updating. Southampton has been Renovating Townhomes in Naperville & in Surrounding Areas for Over 30 Years. BEFORE photo of a Naperville Bathroom Vanity Remodel with New Vanity, Granite Counters, Custom Medicine Storage Cabinet and Two Mirrored Medicine Cabinets for Extra Storage in this End Unit Townhome. Wow that was a Huge Transformation! The New Vanity Has Functional Drawers & Matching Medicine Cabinet for Extra Storage. 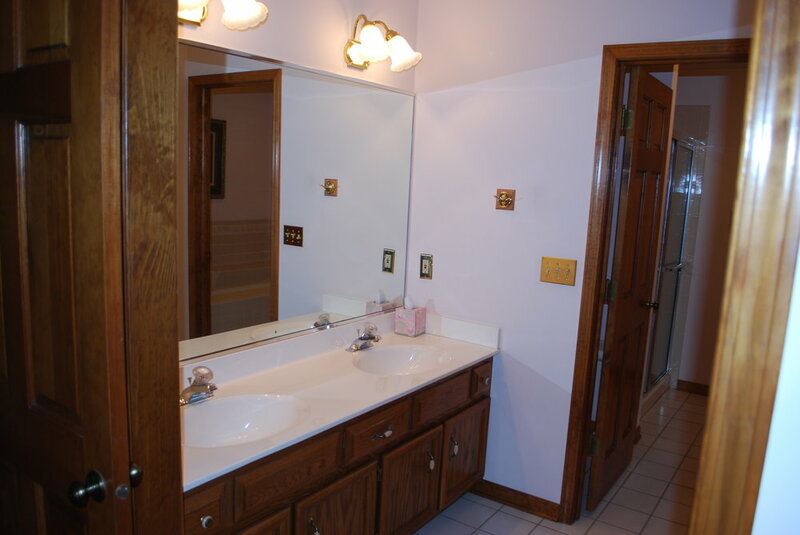 The Two Mirrors are Also Medicine Cabinets! You Can Never Have Enough Storage in a Townhome! New Tile Floors in this Naperville IL End Unit Townhome Bathroom Remodel. New Trim & Double Bowl Vanity Also. Naperville IL. Townhome Remodeling & Updating. 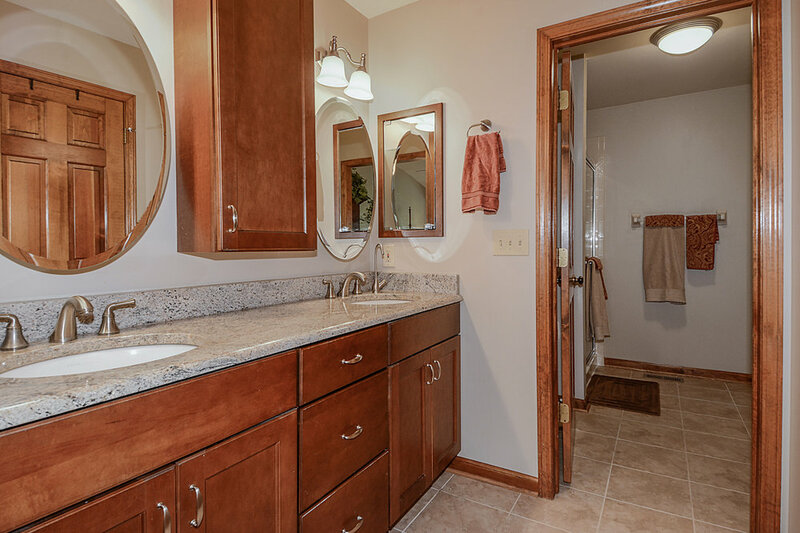 This Outdated Naperville IL Townhome Bathroom was in Need of Some Updating Before the Owner Listed the Unit for Sale with a Realtor. We Inspected the Home & Made All Repairs Before the Unit Was Listed. Now these Sellers Had a Separate His & Hers Master Closets! And This Matching Linen Cabinet that Matched the Vanity. What a Better Use of Space. We Had Multiple Offers Once this End Unit Townhome Was Listed for Sale! Town Home Updating & Renovations before Listing For Sale can Result in a Higher Sales Price and Faster Sale. Call Southampton for Your Free Quote! 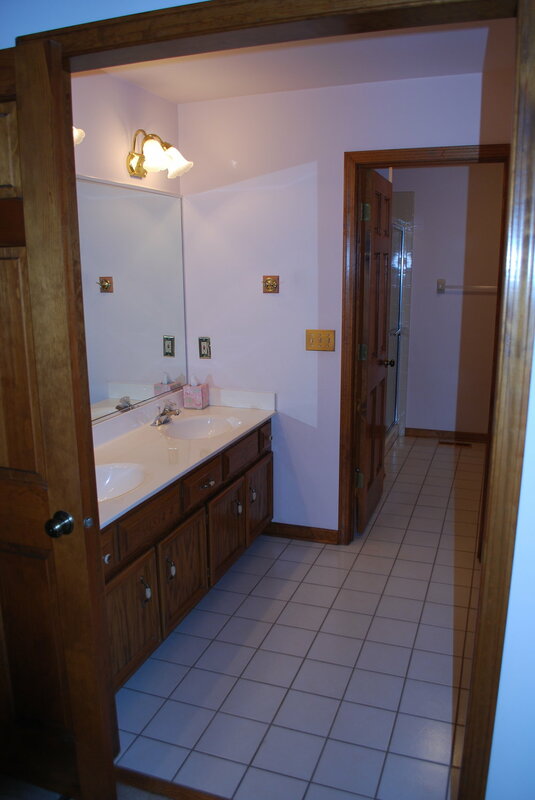 Lets take a Look at the Guest bathroom that was Updated with New Tile Flooring, New Vanity and Storage Cabinetry. New Vanity in This Guest Bathroom & We Added Storage Cabinetry for Extra Linens and a Vacuum Cleaner. Updating a Bathroom Before Listing for Sale can Create a Faster Sale with Higher Returns. Naperville Il. Remodeled Townhome. Townhome Renovations & Updating. Before Photo for Guest Bathroom Remodel in Naperville IL Townhome Updating. Looking to Update Your Naperville Townhome? Call Southampton! 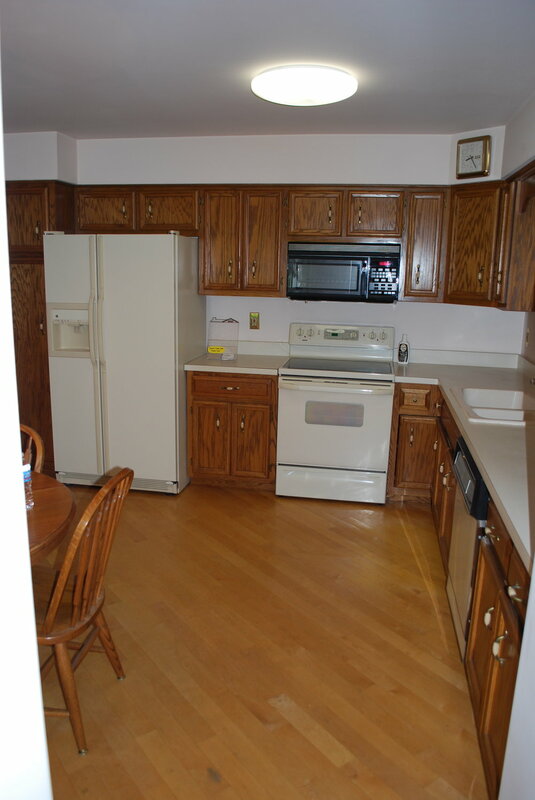 Kitchen Before Updating in this Naperville Illinois Townhome. Updating Kitchens & Bathrooms in Naperville Illinois & Beyond. This End Unit Tonwhome in Naperville was Updated Before getting Listed for Sale. The Owners Wanted A Quick Sale and saw that Remodeled Homes Were Selling Much Faster than Outdated Units. We Put New Hardwood Flooring in the First Floor, New Granite & Backsplash in the Kitchen. Updated the Lighting & All Fresh Paint. We Stopped Short of Painting the Trim & Cabinets as this Area was Selling Well with Stained Trim. These Owners Sold with Multiple Offers and Closed Above List Price. Good Job! After Photo of Kitchen Remodel & Updating for this Naperville IL Townhome Renovations. Get Your Home Ready for Listing & a Quick SALE! Kitchen in Naperville Townhome End Unit Before Updating. First Floor Updating & Refinished Flooring. Are You Looking to Remodel Your Townhome or Home in Naperville IL? Small Updates or Major Contracting Needed? Call Southampton, We Have Over 30 Years of Custom Home and Townhome Experience. Remodeling, Renovations & Updating are OUR SPECIALITY! Call Today for Your Free Quote! We Are Located in the Fox Valley Town of Geneva IL. But We Service Most of Northern Illinois like St. Charles, South Elgin, Elmhurst, Barrington, Bartlett, Warrenville, Glen Ellyn, North Aurora and Many More! Take a Look at More Home Remodeling Projects to Get Ideas!